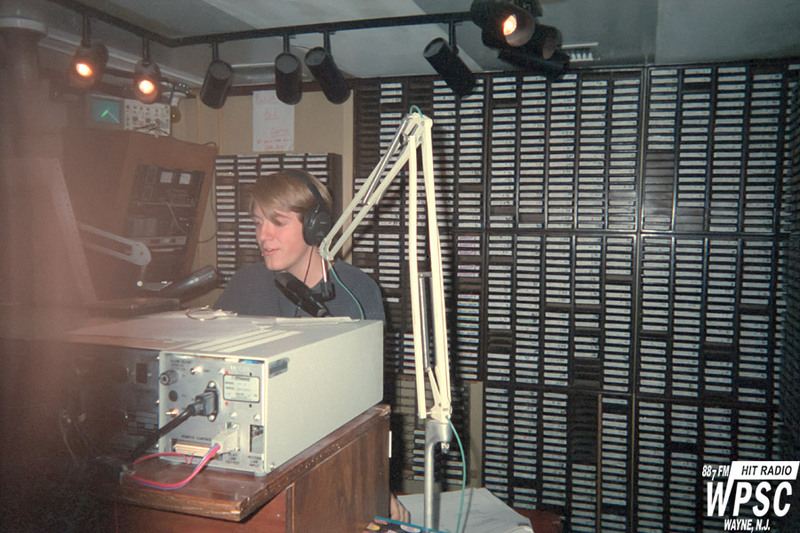 A very young and long-haired Mike Bonte on the air at WPSC-FM in the Fall of 1997. During this period, I was on most nights from 10pm-2am until I was able to train suitable replacements. John Kiernan sure knew how to motivate people! This photo was taken by Ian, and judging by his finger over the lens, he ran the camera as well as he ran the board.